Bring a personal touch to any Easter celebration with homemade cakes, cookies, spring tarts and more. Put down the store-bought sweets! 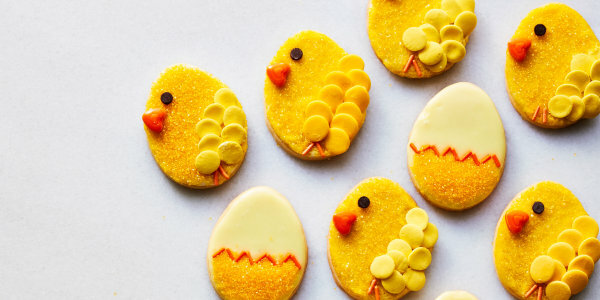 This time of year, chocolate eggs, marshmallow chicks and jelly beans certainly have a special place in our hearts (and baskets), but that doesn't mean you can't up the ante with a homemade dessert — or two — for Easter brunch or dinner. Whether you have some time to plan, need to throw something together at the last minute or avoid the oven all together, these tasty treats will add a deliciously festive touch to any spring celebration. 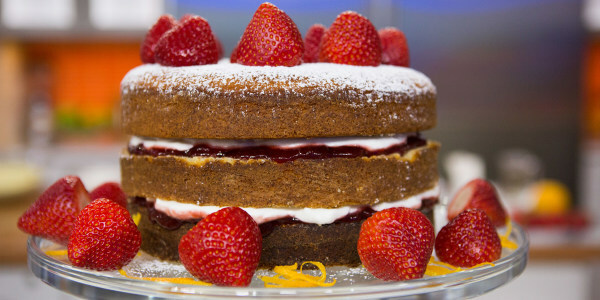 The sweet layers of the strawberry jam balanced with the soft whipped cream in between the light orange blossom spongecake layers is a gorgeously refreshing flavor combination. Friends and family will definitely be impressed when this stunning spongecake comes to the table. What's up, doc? 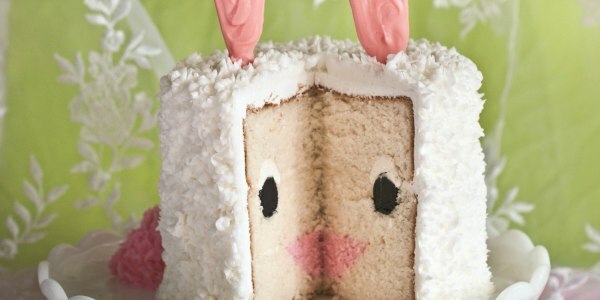 Just this incredibly cute bunny cake! This impressive and adorable dessert is sure to wow kids and grown-ups alike. 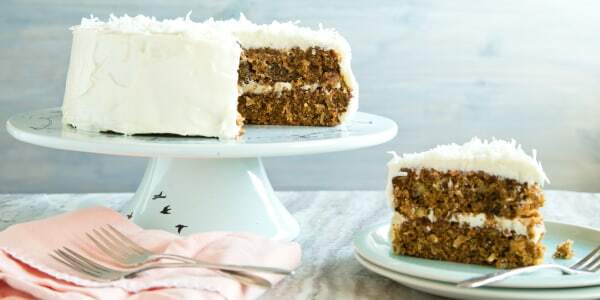 Carrot cake is an ideal Easter treat for guests (and the bunny)! Serve this sweetly spiced dessert with walnuts, raisins, coconut and pineapple — or keep it simple with only shredded carrots in the batter. Either way, it's a guaranteed treat, especially when each slice gets a luxurious layer of cream cheese frosting. Easter brunch takes a lot of planning and a lot of work in the kitchen. So why not make dessert the simple part? 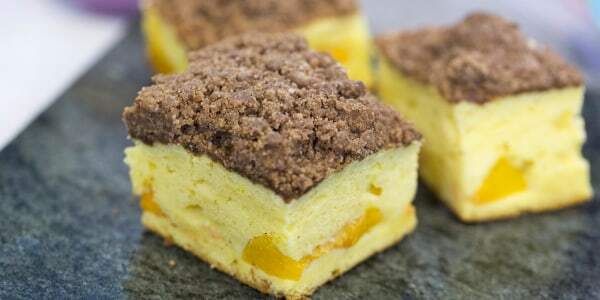 A box of yellow cake mix is the secret behind this incredibly easy coffee cake. With the oven likely filled to the brim with the ham baking, asparagus roasting and everything else, whip this no-bake cake up in only 20 minutes. 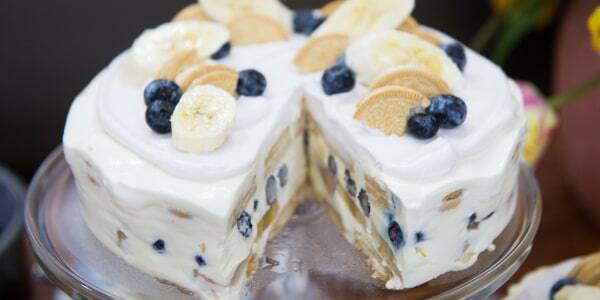 Featuring fresh fruits, rich golden Oreo cookies and homemade coconut whipped cream, this almost-vegan, no-bake icebox cake is the perfect dessert for spring. And it's great for parties because you can make it the day before. 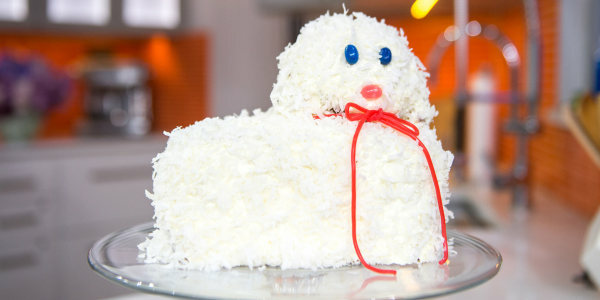 If lamb cake isn't already an Easter tradition in your household, once you see the look on the kids' faces when this cute creation is revealed, it's sure to become one. The trick to an utterly delicious macaroon base is to combine the coconut with melted marshmallows before baking. Since marshmallows are a great setting agent, you can use them for the filling, too, so there is no need to bake it again. 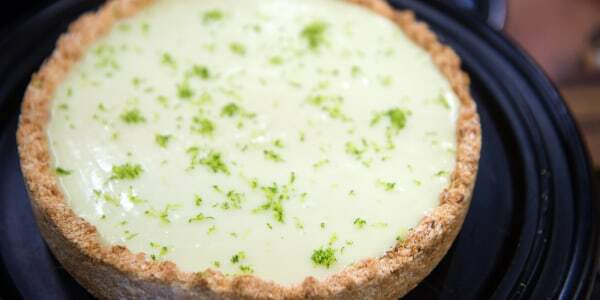 The zesty lime curd adds just the right amount of tanginess to create a perfectly balanced dessert. Martha Stewart combines baking and crafts with these cute cookies. Have little ones help decorate the treats with sanding sugar, sprinkles, mini chocolate chips and candy. Then share them with your peeps after Easter dinner. 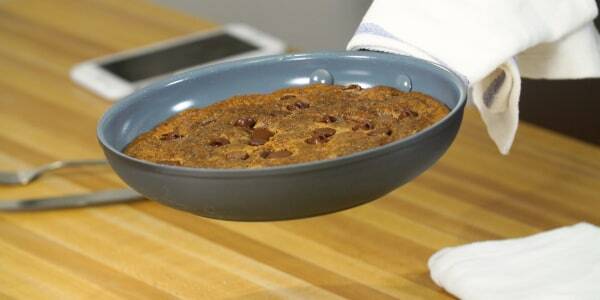 Chef Duff Goldman swears by this versatile recipe and it's the one he uses for the blondies at all of his bakeries. They're buttery, sweet and made from just seven easy-to-find ingredients. 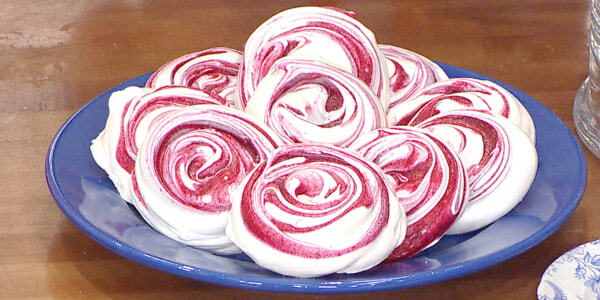 Meringue clouds are light as air and adding raspberry takes them to another level. The fruity berries keep the meringue from being too sweet. 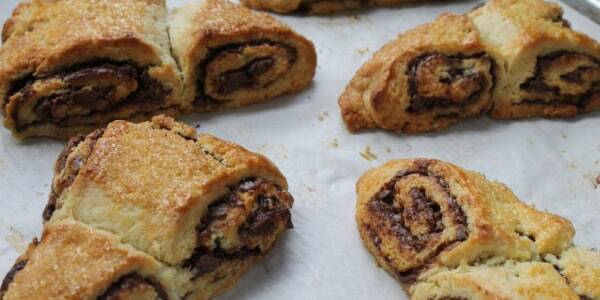 The glorious Nutella swirl in these scones is as delicious as it is dramatic. Impress guests and serve them these buttery, tender and crisp scones. 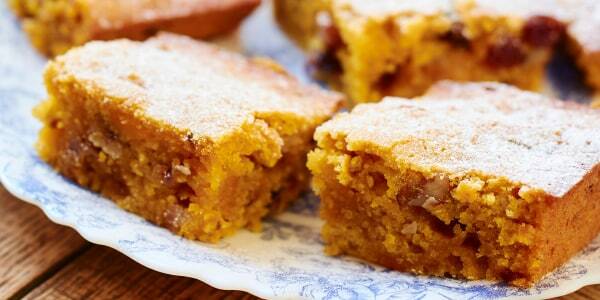 They’re especially awesome paired with a cup of rich coffee. 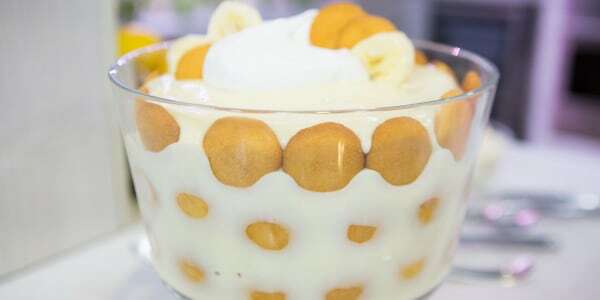 This pudding is incredibly easy and perfect for any event, from an Easter brunch to summertime entertaining. It looks stunning when presented in a footed-glass trifle dish, so everyone can see the lovely layers. The best part? It can also be made ahead and refrigerated — and it may be even more delicious the next day. This decadent recipe is perfect for gluten-free guests. It's sweetened with coconut sugar and maple almond butter, giving it a luxuriously warm flavor. Oh, and did we mention that it's vegan, too? 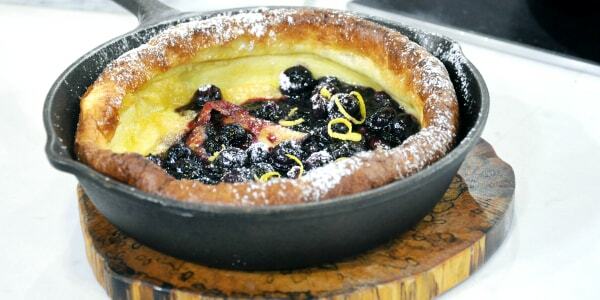 If pancakes and popovers had a baby, it would be a Dutch baby! Al Roker's wife's go-to Dutch Baby is savory with lots of cheese, but Al decided to switch it up and make her a dessert, replacing the salty cheese with vanilla and lemon. This beautiful, springtime dish will no doubt shine at the table. It just wouldn't be spring baking season without strawberries and rhubarb. Siri Daly combines the two classic and complementary ingredients to make this easy, seasonal dessert. 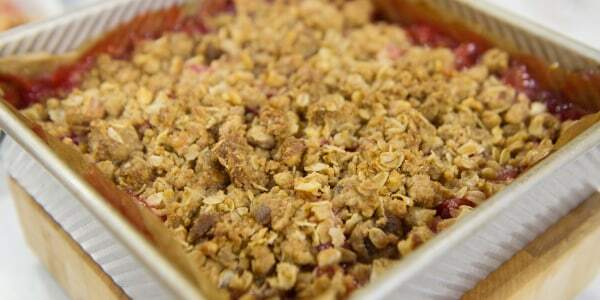 She tops the sweet and tart fruits with toasty oats and warm cinnamon to add a perfectly crisp topping.